Epigenetics is the study of both heritable and non-heritable changes in the regulation of gene activity and expression that occur without an alteration in the DNA sequence. This dynamic and rapidly developing discipline is making its impact across the biomedical sciences, in particular in toxicology where epigenetic differences can mean that different individuals respond differently to the same drug or chemical. 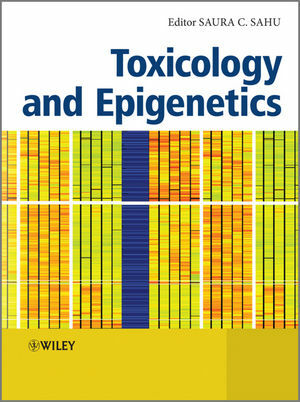 Toxicology and Epigenetics reflects the multidimensional character of this emerging area of toxicology, describing cutting-edge molecular technologies to unravel epigenetic changes, the use of in vivo and in vitro models, as well as the potential use of toxicological epigenetics in regulatory environments. An international team of experts consider the interplay between epigenetics and toxicology in a number of areas, including environmental, nutritional, pharmacological, and computational toxicology, nanomaterials, proteomics and metabolomics, and cancer research. Toxicology and Epigenetics is an essential insight into the current trends and future directions of research in this rapidly expanding field for investigators, toxicologists, risk assessors and regulators in academia, industry and government. Dr. Sahu is the US Editor for the Journal of Applied Toxicology and the editor of Hepatotoxicity (Wiley, 2007), Toxicogenomics (Wiley, 2008), Nanotoxicity (Wiley, 2009), and Handbook of Systems Toxicology (Wiley, 2011).